GoGirlGo! Chicago is an initiative launched by the Women’s Sports Foundation in conjunction with the Chicago Foundation for Women to increase the physical activity of Chicago girls, create sustainable girls’ sports programming and execute a model public education campaign on the importance of getting girls moving. Our goal is to get 100,000 sedentary Chicago girls in the counties of Cook, DuPage, Kane, Lake, McHenry and Will active and involved in physical activities over the next three years, as well as keep 100,000 already active girls playing sports. GoGirlGo! includes four key components: Education and awareness campaign – A free, curriculum-based educational program created for girls, coaches and parents to reinforce positive behaviors and educate one million currently active girls about the dangers of inactivity and negative habits that affect health Community-based activation – GoGirlGo! Week and public information campaigns will be conducted in pilot communities where active adults and girls bring inactive girls to free “open houses” (GoGirlGo! Centers) to introduce them to various activity programs. Pilot communities currently include Atlanta, Chicago and Boston. Peer-to-peer and adult-to-youth mentoring – High school athletes and active adults are asked to pledge support to help get one million girls physically active one girl at a time. Go to GoGirlGo.com to make your pledge and we’ll show you how! Grant Program – $2.6 million will be earmarked to enable new sport and physical activity opportunities to be offered to economically disadvantaged and underserved girls and expand programs to accommodate recruited inactive girls. The Chicago Urban League (CUL) was one of the first affiliates of the National Urban League (NUL) organized in this country to address the needs of African Americans migrating from the rural South to the northern cities in unprecedented numbers at the dawn of the 20th century. Established in 1916, the Chicago Urban League is a civil rights organization that empowers and inspires individuals to reach and exceed their economic potential. The League focuses on growing Chicago’s African American workforce and business community. The Chicago Urban League is pursuing three strategies that advance our mission: ensuring that African American children are well-educated and equipped for economic self-reliance in the 21st century; helping adults attain economic self-sufficiency through gainful employment, home ownership, entrepreneurship and wealth accumulation; and ensuring the civil rights of African Americans by eradicating barriers to equal participation in the economic and social mainstream of American life. Today the work of CUL focuses upon education, economic development and community empowerment for African Americans, other minorities and the poor. As one of the largest affiliates in the nation, the Chicago organization remains a leader in the Urban League movement. The ALS Association is the only national not-for-profit health organization dedicated solely to the fight against ALS. ALSA covers all the bases – research, patient and community services, public education, and advocacy – in providing help and hope to those facing the disease. 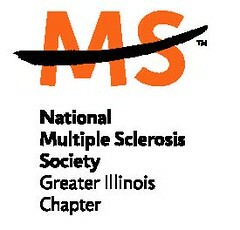 The mission of The ALS Association (ALSA) is to find a cure for and improve living with amyotrophic lateral sclerosis. Research The Association’s multifaceted research program includes peer-reviewed investigator-initiated scientific studies, cure-directed ALSA-initiated research and scientific workshops focusing on supporting ALS researchers. Since 1991, ALSA has awarded nearly $30 million to fund research seeking to identify the cause, means of prevention, and cure for ALS. Currently, ALSA-funded scientists are looking into 15 different research areas relevant to ALS. Advocacy The ALSA network plays a lead role in advocacy for increased public and private support of ALS research and health care reform that responds to the demands imposed by ALS. ALSA monitors and provides its national grassroots network of passionate volunteers with the information and support needed to keep healthcare professionals, the biotech community, the media and lawmakers abreast of challenges, as well as opportunities at hand in the ongoing fight against the disease. Patient and Community Services ALSA helps patients and families cope with the day to day challenges of living with ALS by providing information, resources, and referrals to many sources, including a wide variety of community services. Public Education & Awareness Through public outreach, media relations, and the Internet, ALSA continually raises awareness about ALS and the search for a cure. Address: 220 W. Huron St. In 1987, the AIDS Legal Council of Chicago was started in a Chicago apartment by a small group of volunteer attorneys determined to meet the unique legal needs of people with HIV. Today ALCC has grown to a staff of twelve, delivering free legal services to more than 1,000 clients each year. In addition, the Council provides educational outreach and advocacy to promote the fair treatment of people with HIV and AIDS. ALCC’s greatest point of pride has been its flexibility in meeting the changing needs of people and populations affected by HIV. Since 1991 (when we opened our first satellite office at Cook County Hospital), ALCC has initiated targeted programs for Latinos, African-Americans, HIV-positive immigrants and HIV-positive individuals with mental health problems. In addition, our Family Options Program helps parents with HIV make plans for the future care of their children and our Benefits Counseling Initiative assists clients who have questions about returning to work.